Just two weeks before the 2018 midterm elections, 2020 presidential hopeful Elizabeth Warren released the results of a DNA test in order to "prove" she's Native American. After all, she used the title to get ahead in her academic and political careers. Republican Sen. Scott Brown's campaign last week accused Warren of "participating in Harvard's diversity sham" by allowing the school to list her as a minority. The test showed she might be 1/1024 Native American. 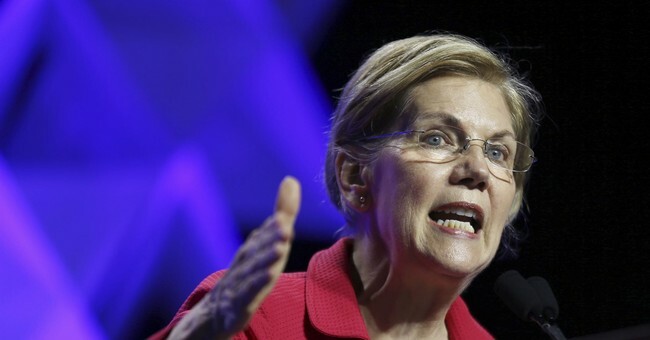 BOSTON GLOBE: "Due to a math error, a story about Elizabeth Warren misstated the ancestry percentage of a potential 10th generation relative. It should be 1/1,024." Despite massive backlash from Republicans, Democrats and a scathing statement from the Cherokee Nation, Warren has brazenly stood by her decision to take the DNA test, publish the results and doubled down in the wake of criticism. She also attempted to explain away why she listed herself as Native American at Harvard, but not in the Senate. But as decision time for 2020 inches closer, the failed stunt has turned into an even bigger albatross for the Massachusetts Senator. According to the New York Times, Democrat advisors believe Warren may have blown her 2020 chances and that the damage of her cultural appropriation may be beyond repair. In fact, some believe her only way to survival is through an apology. There's no way Warren will issue a full throated apology on this, she's in too deep. Instead, she'll find away to "apologize" without actually doing so and will further damage her 2020 chances.